We update our null RealTimeNetwork implementation with the ability to create null connections—in other words, we want our code to be able to “connect” a socket without actually involving the network. This will make our tests much easier to write. 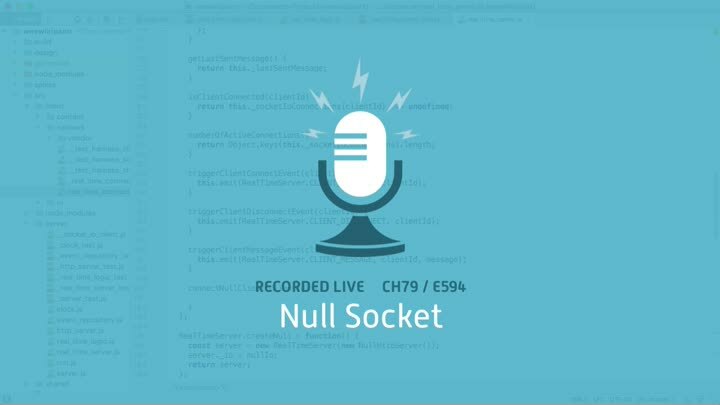 To implement it, we write a simple null version of Socket.IO’s sockets.